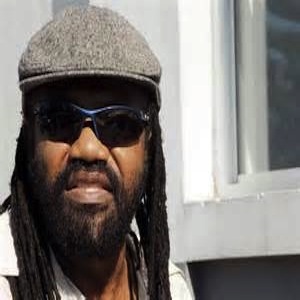 Patrick George Anthony Barrett (born 15 January 1962), better known by his stage name Tony Rebel, is a Jamaican reggae deejay. Born in Manchester Parish, Jamaica, Barrett was initially a singer, appearing as Papa Tony or Tony Ranking in local talent contests and on sound systems including Sugar Minott’s ‘Youth Promotion’. His first release was the single “Casino” that appeared in 1988 on the MGB record label, although his career took off when he worked with Donovan Germain’s Penthouse setup in the early 1990s. He had a big hit in 1990 with “Fresh Vegetable”, and established a singjay style of delivery. He is notable as one of the few dreadlocked ‘cultural’ deejays of the ragga era. In 1992 he signed a deal with Columbia Records who released Vibes of the Times, a predominantly reggae fusion album, the following year. It spawned some of his more well known international singles such as the title track “Vibes of the Times” and “Nazerite Vow” both of which had accompanying music videos. In 1994 he founded his record label, ‘Flames’. That same year, he held a reggae festival named Rebel Salute in Mandeville, Jamaica. It has developed into an annual event through his production company, Flames Productions, and is held every year on his birthday. In June 2013, Tony Rebel was sworn in as a Justice of the Peace.